What is a Management Company? Adding or Editing a Management Company. FAQs - Tips and Best Practices. FAQs - What is a Management Company? Why do I Need to Add a Management Company? 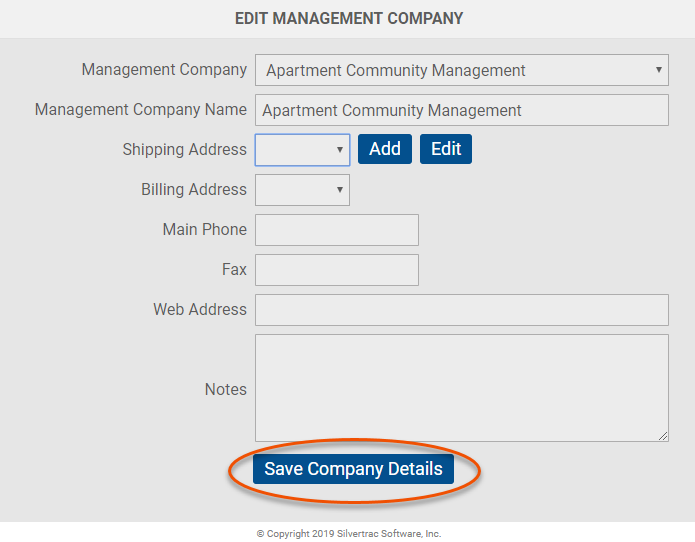 After making additions or edits be sure to click Save Company Details at the bottom of the screen. The Management Company is the company that manages the property you are servicing. In short, the Management Company is the customer who signs the check. This does not necessarily have to be a separate property Management Company as in the case of self managed properties where the name of the property is one and the same. 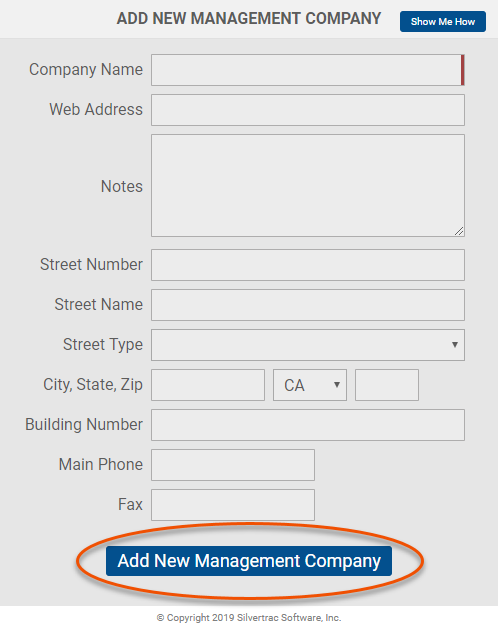 Why do I Need to Add a Management Company? Having each individual property set up under a Management Company allows Silvertrac to automatically set up User Groups. 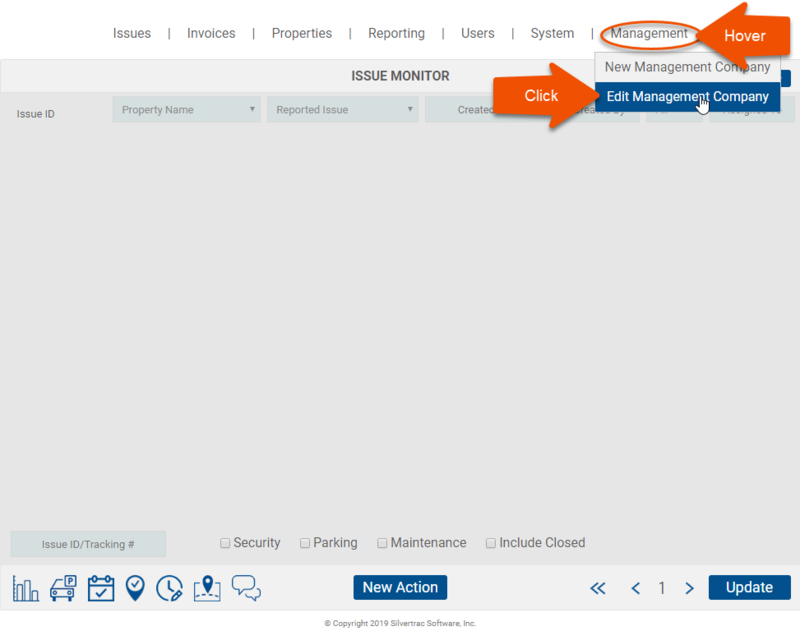 This allows you to set up each individual property manager, as well as regional managers, to receive multiple reports on multiple properties that you may service in their portfolio(s). Create your own company as a separate Management Company. Creating your company as a separate Management Company will enable you to attach it to individual internal properties. 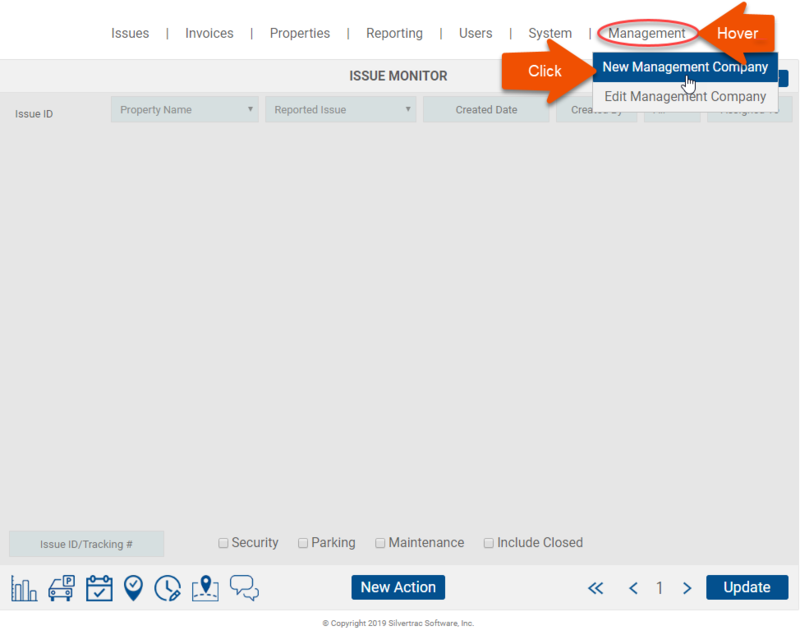 This means you can add properties such as a Vehicle Inspection Property, Test or a Training Property, a Supervisor Inspection Property to track uniform and guard card checks, and more. Creating your own Management Company also ensures that the internal or test data that is created isn't associated with a live customer property and show up on their reports. If you have further questions about adding or editing Management Companies please contact your Customer Success Manager or call Tech Support at 888-505-8722 ext 4.